This project involves planning, design and landowner compensation for the upgrade of a 65km section of the Bruce Highway from Cooroy to Curra, including a bypass of Gympie. 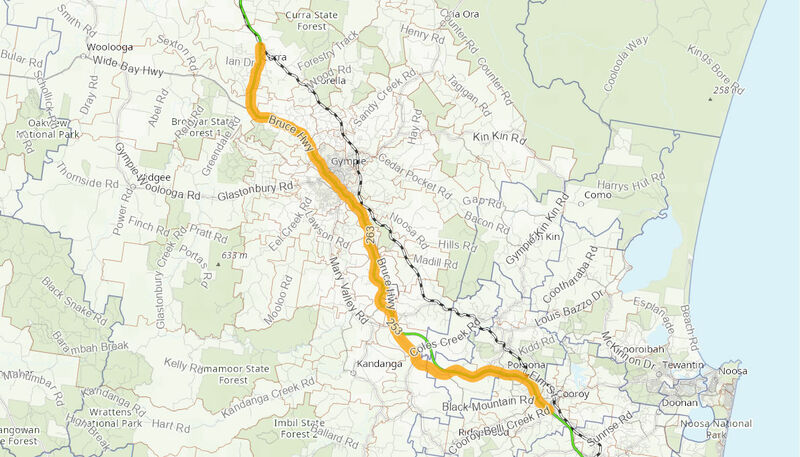 The planning project will look to reduce travel times and improve the safety and efficiency of the Bruce Highway through the Cooroy to Curra section, supporting the needs of local communities, long distance road freight and tourist traffic. The Australian Government is providing $200 million towards the project. Planning and design works and land acquisition towards the future upgrade of the highway are ongoing.